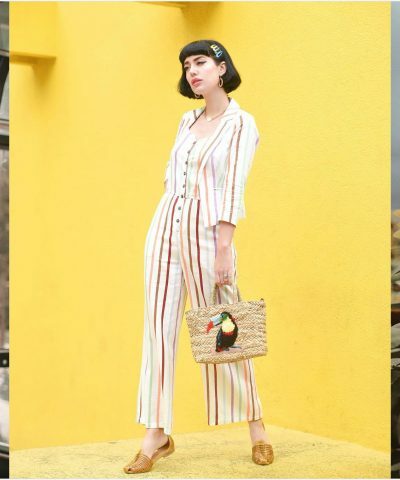 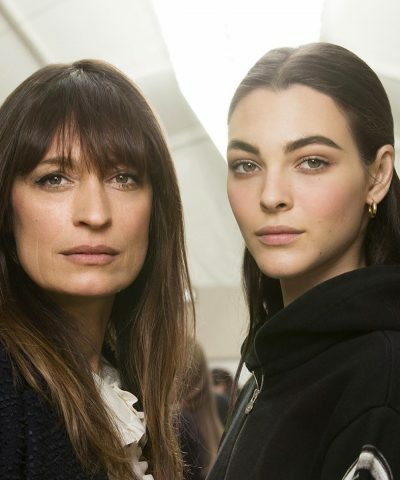 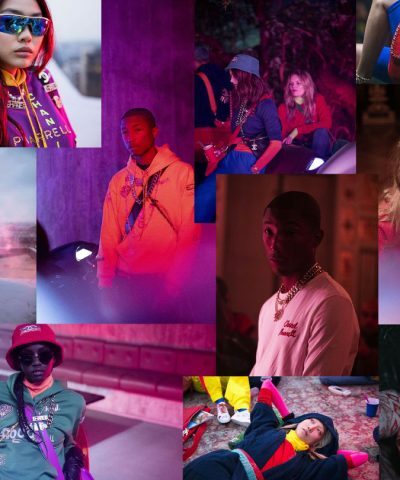 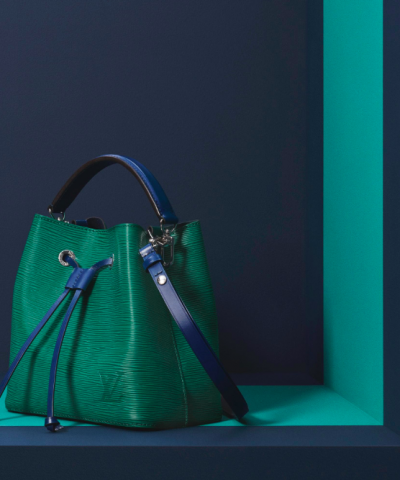 Earlier this week, in the Grand Palais in Paris, the late Chanel creative director Karl Lagerfeld and Chanel's current creative director Virginie Viard planned the Chanel fall winter 2019-2020 collection fashion show. 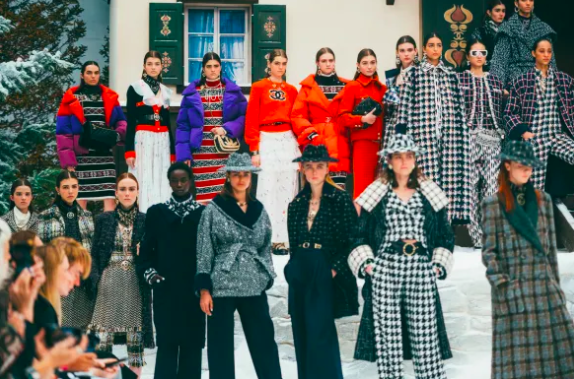 This show also Became the last show with Karl Lagerfeld's participation. 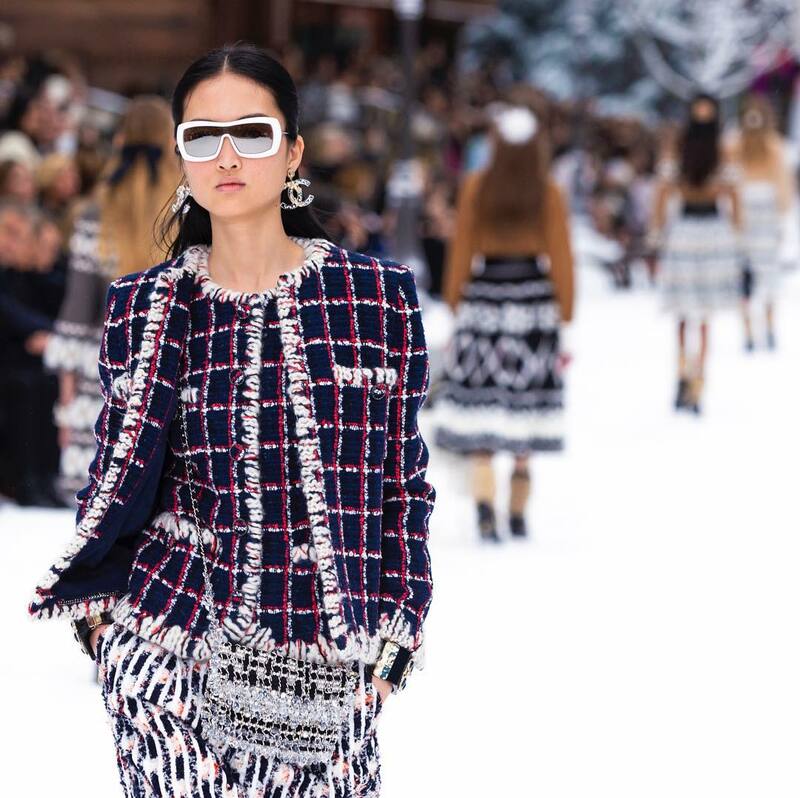 The show's layout turned the Grand Palais into a winter village surrounded by mountains and the models showed Chanel's new season collection in the snow with graceful steps. 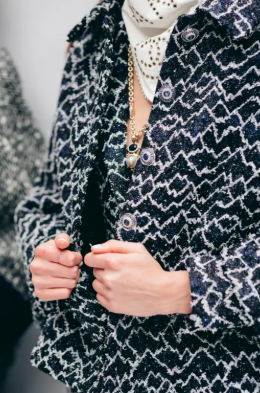 The black and white large plaid texture is elegant and powerful. 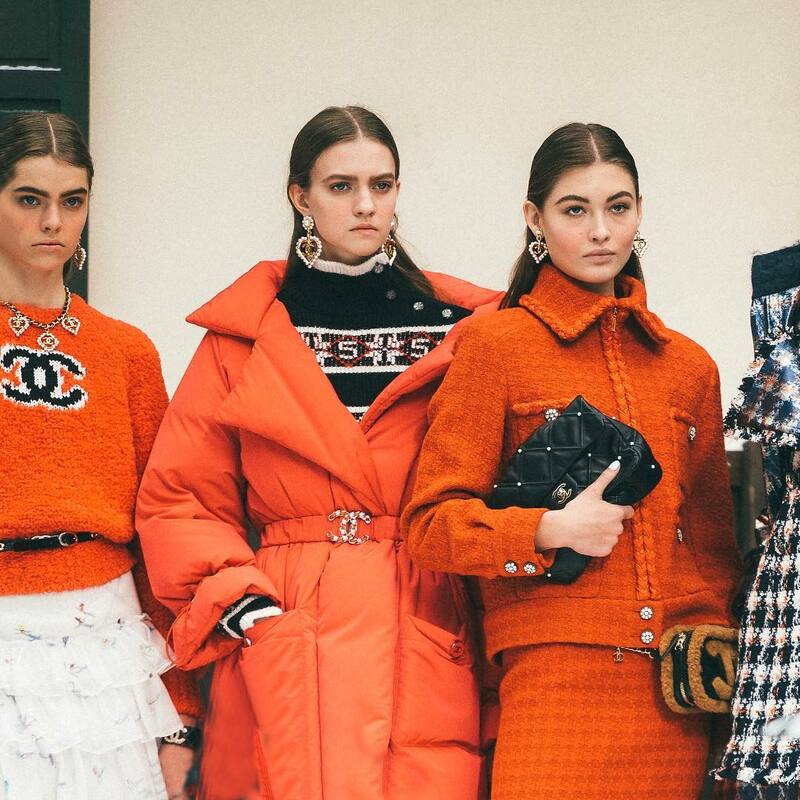 The skirts with mini skiers and CC chair lifts add vibrant colors. 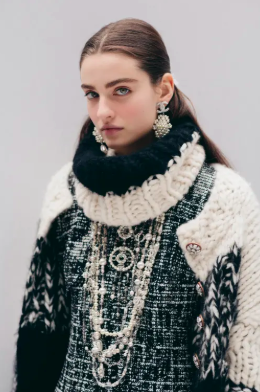 The snow texture and snowflake earrings are in close contact at the Chanel Fall Winter show in Paris. 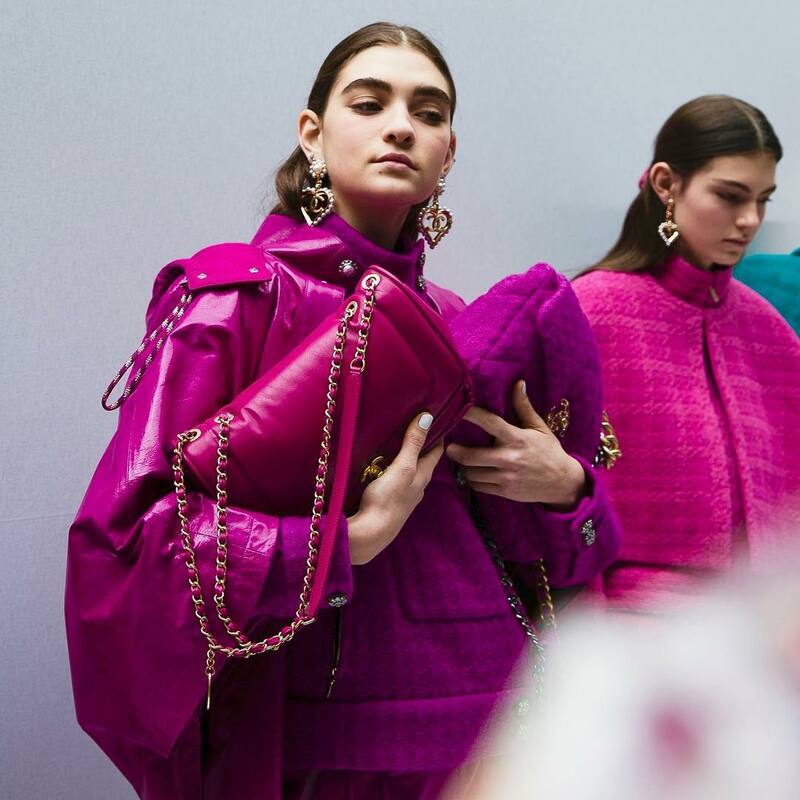 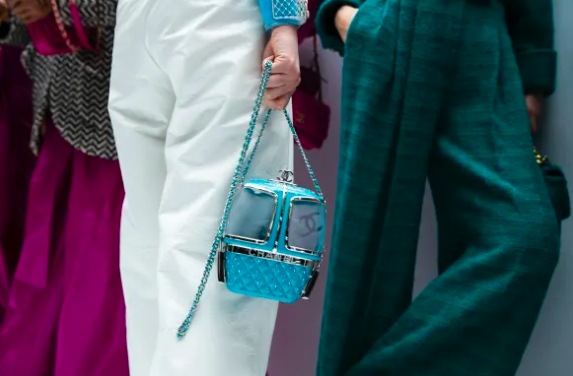 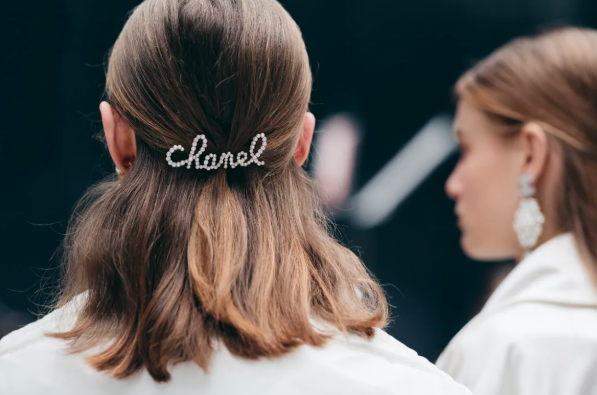 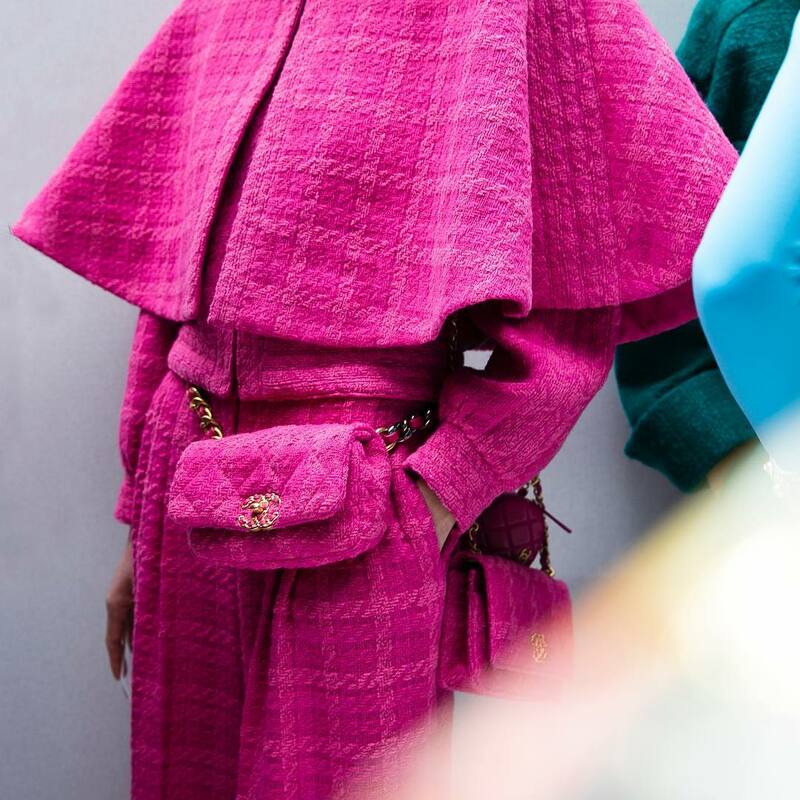 A palette of winter white, black and navy blue was punctuated with flashes of purple, fuchsia, brick and emerald green at the Chanel Fall Winter show in Paris. 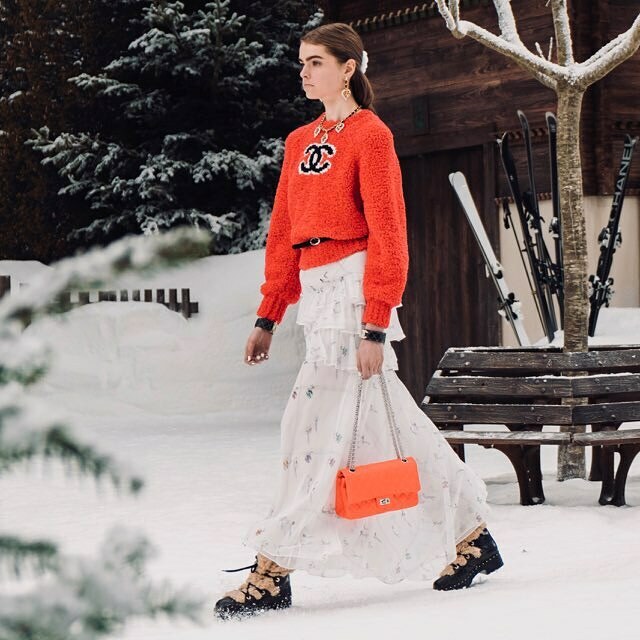 In a bright winter atmosphere, actress Penélope Cruz wore a signature "snowball" skirt. 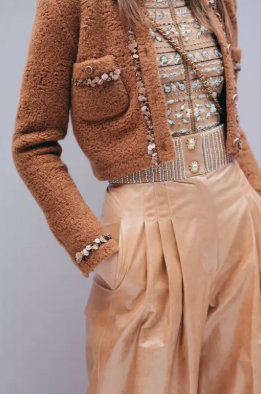 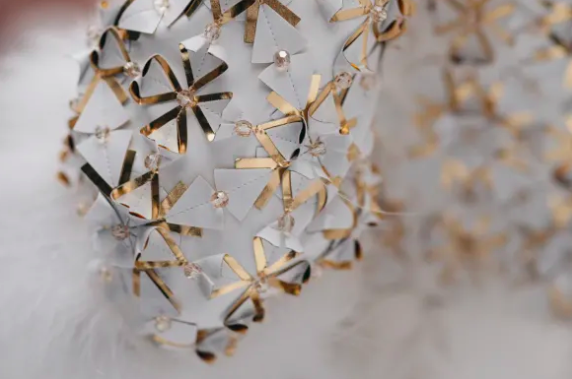 Models wearing chiffon and feather dresses, embroidered with golden vinyl snowflakes on the chest walked side by side on the Chanel Fall Winter show.